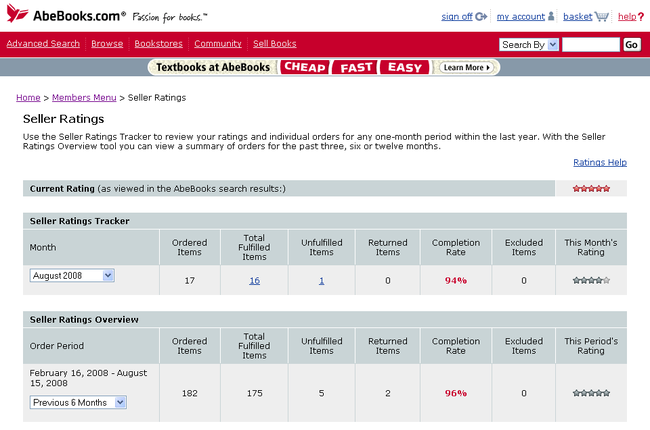 How can I check my Bookseller Rating on AbeBooks? 2. Go to "Your Sales" from the Members Menu and select "View Your Completion Rate"
Select the 3, 6 or 12-month rating period from the Order Period drop-down list. 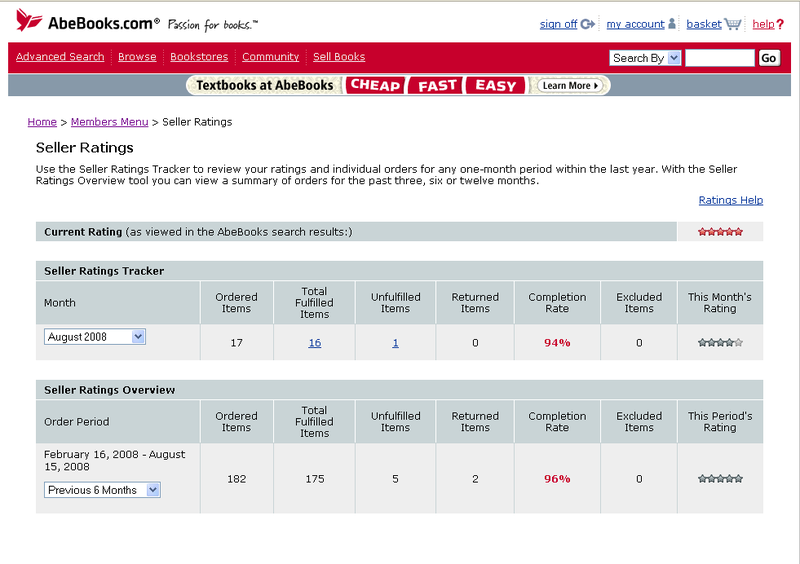 Click the order count under [Unfulfilled Items] or [Returned Items] to view the order counts for the unfulfilled and return reasons. 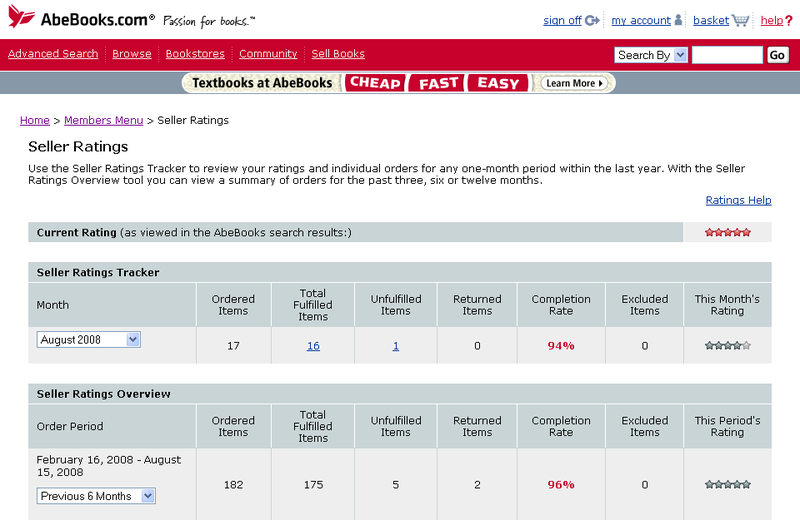 Click here for instructions on how you can exclude an order from counting against your Bookseller Rating.